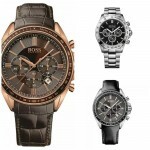 Hugo Boss Gents Watch Chronograph XL Leather 1513093 Review. Have to say I’ve been looking forward to this Hugo Boss 1513093 review ever since I planned it the other week. 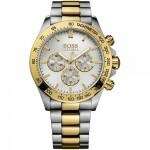 Hugo Boss are up there as being one of my favourite affordable watch brands. The watch I wear out most often is actually a Hugo Boss, and I have plenty of other watches to choose from including a couple of Omegas. They just make some stunning looking watches in my opinion. Anyway I’ll get on with my 1513093 review below and you can find out the price on Amazon today, enjoy. When I first noticed this watch I knew I wanted it, it has the whole rose gold and dark brown leather strap style to it that I think works really well in watches. It’s a nice sized watch that feels large without being too chunky at all. Well and truly if you’re after a designer affordable watch then this should be seriously looked at. My other Hugo Boss watch often gets noticed and I can’t see this one being much different as it’s a very similar design. 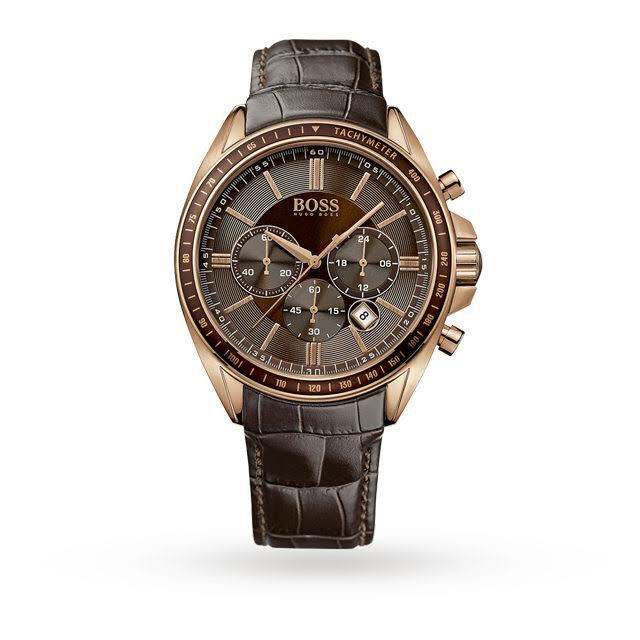 As I expected to see around this price bracket with Hugo Boss, the watch has a hardened mineral glass. This glass is specially made to be resistant to most scratches, and some can even be buffed out if need be. The next step up would have been a sapphire glass which is good but normally a bit more expensive. I think it’s fair that they elected to go with the mineral. This watch is only slightly above the average you find these days. This watch casing diameter is 43mm which is classed as large, even though a lot of the watches being bought out these days are 42mm. I reckon 42mm is the new average to be honest. The thickness of the casing is 11.5mm which is also classed as large but only just. I don’t think it’s too chunky by any means. As far as calendar features go this watch has a standard date display between the 4 and 5 o’clock markers. With the chronograph features on the dial it makes it a little difficult to fit much more than this is, so I’m happy with it. To match in with the rose gold casing and the brown dial, this watch has a soft genuine leather strap which I think compliments the whole watch design very nicely. The strap itself has a width of 22mm which is a tiny bit larger than the 20mm average. 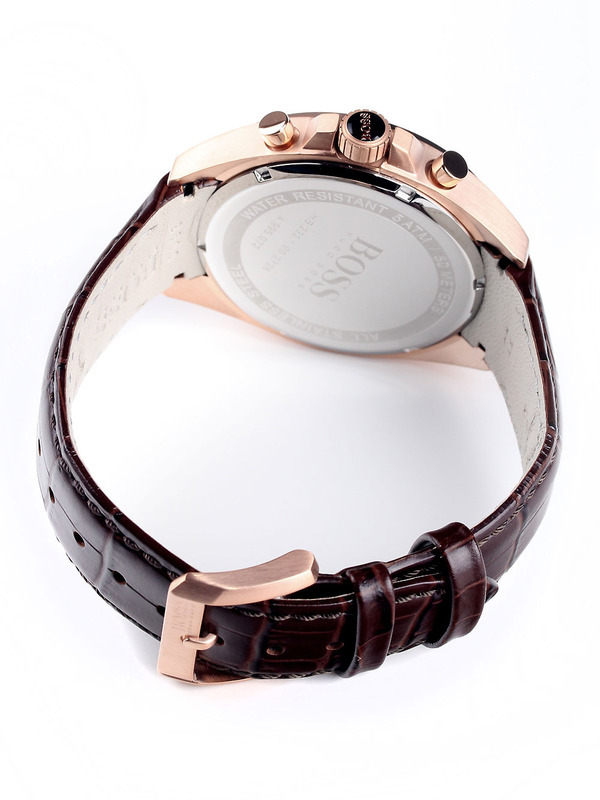 As you can see in the picture below the buckle also has rose gold detailing. This is quite clearly something I would personally go for, it’s my style of watch to be honest. 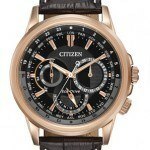 Large but not chunky with rose gold detailing, perfect for me. As far as value for money goes I think it’s a very fair deal being a Hugo Boss watch and all. I really like the detailing around the rim of the dial, a few of their watches have this feature. After this you should see my top 14 Hugo Boss watches under £200, there were some fantastic watches listed on that post that you honestly need to see..